Since 1977, our family owned and operated business has created timeless art in granite, marble, wood, glass, bronze, and other media. Each one of us has a unique personality shaped by our favorite hobbies, sayings and images. Worthen Memorials, founded by artist and sculptor Bill Worthen, continues to design custom art for our clients that makes a headstone a direct reflection of an individual. Come visit our showroom or click the button below to view more examples of the variety of designs available, both custom and customary. 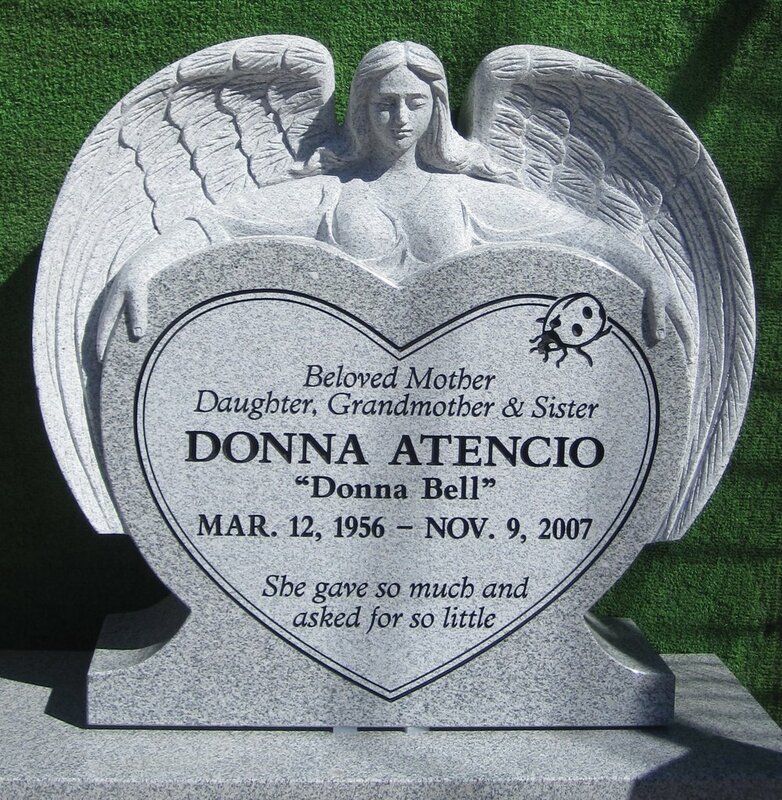 Let us help you create a headstone, grave marker or cremation marker that reflects the image of your loved one. 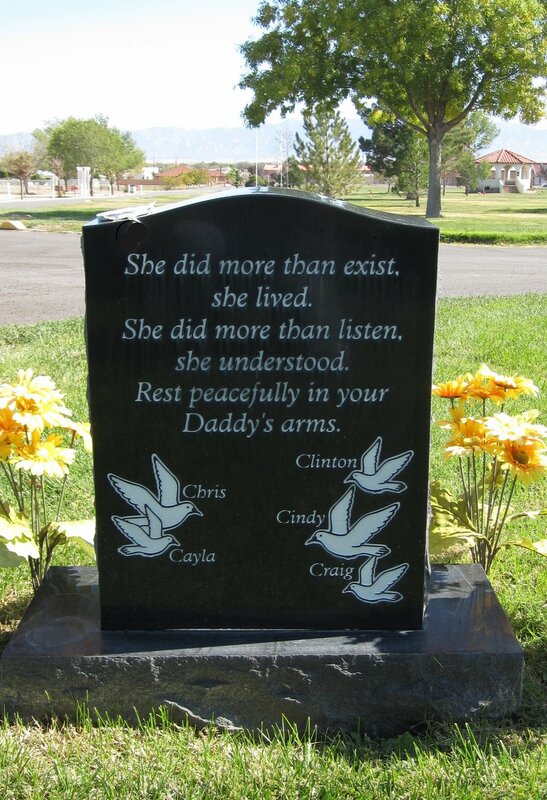 A grave marker or monument can be shaped to reflect the personality of your loved one. 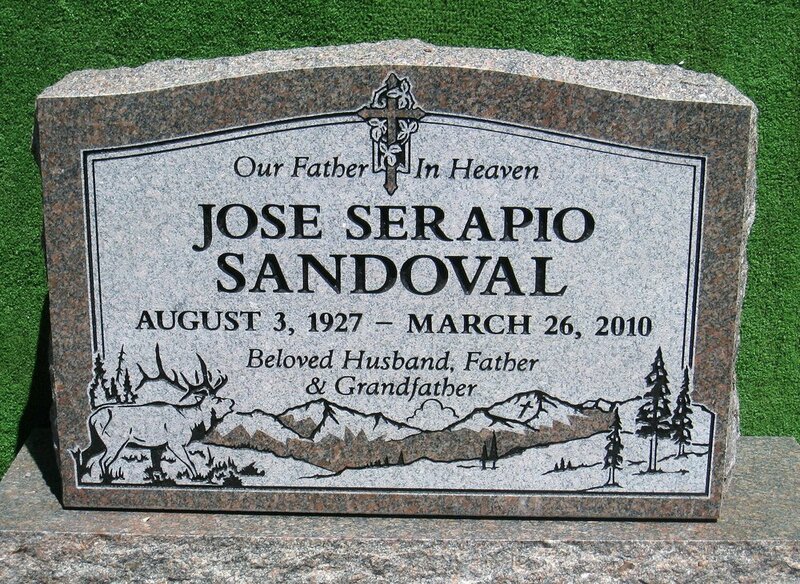 There really is no limit to the size, shape, color, material or nature of the headstone or cremains marker you choose. Worthen Memorials has contributed to the design and construction of countless stone, wood, glass and metal signs located throughout the cities of Albuquerque, Santa Fe, Rio Rancho and beyond. Works include commercial signs of very large scale that stand before retail complexes, ranches, public schools and public buildings, including the Museum of Natural History and the Rio Grande Zoo. Pets are family, holding a treasured place in our hearts and a longing to not be forgotten. Memorializing a pet's grave or cremains can be done formally with a granite monument or in a casual, inconspicuous manner as a garden stone. The art of engraving can be applied to not only memorials, but to other media that add character and interest to your home or business space. Granite, glass, stone, tile and metal can all be engraved for use in mantels, entries, bathrooms, kitchen back splashes, table tops, address stones and more. We are very honored to have constructed monuments which pay tribute to those who have put their lives in harm's way and to others that work to improve lives or have given life. We have also created monuments that acknowledge substantial gifts made to organizations such as churches, museums, and hospitals in form of donor monuments, walls, walks and more. We serve wholesale clients throughout New Mexico and beyond. Contact us to learn more about a wholesale relationship, ask to speak with Loren Worthen. If you have reached us after hours, send us a note and we will gladly get back to you as soon as possible. Leave a brief description of the products or services you are interested in learning more about. Thank you! Will we contact you as soon as we can.